With three linear television productions and a host of studio and digital programming coming from in and around NRG Stadium in Houston for this weekend’s Final Four, it is no surprise that the production compound is jam-packed. 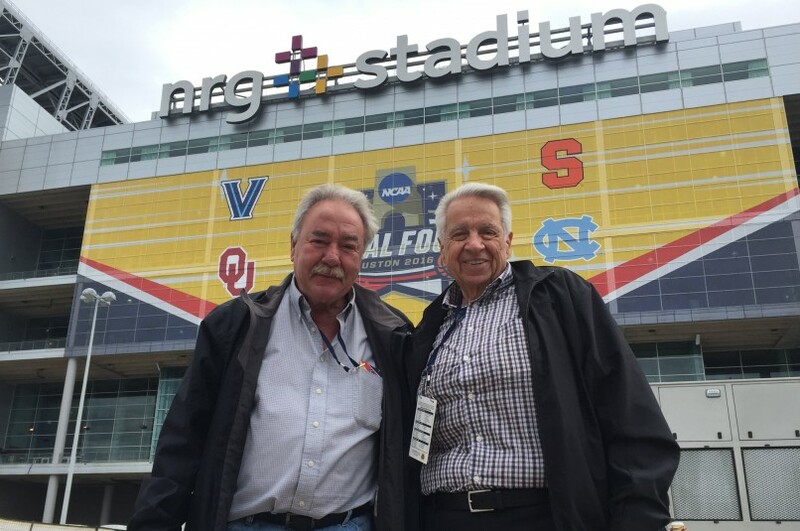 Bill McKechney (left), VP, engineering, and George Orgera, founding CEO/president, F&F Productions are on hand in Houston to support key pieces of the F&F fleet at the Final Four. F&F Productions has long been a stalwart for CBS Sports — and Turner Sports since it came on board via a broadcasting agreement six years ago — at the Final Four, and this year is no different. 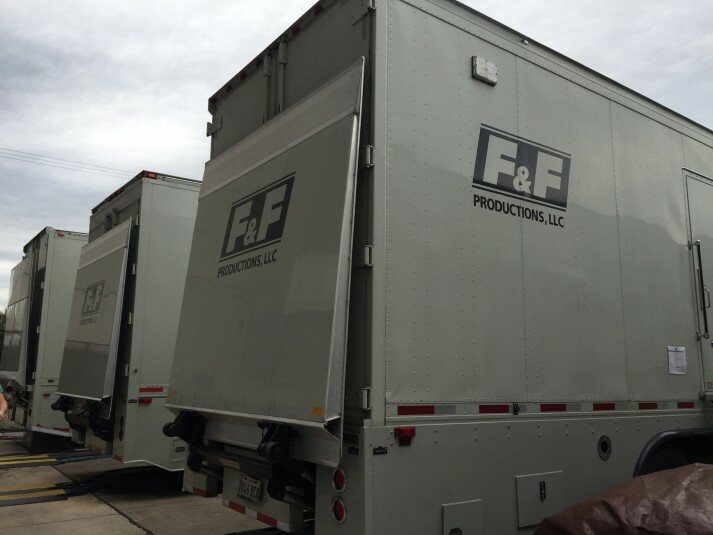 Six F&F trucks are onsite, supporting the massive production that includes the main national telecasts on TBS and two additional “TeamStream” productions on TNT and truTV. GTX-17 is serving as the primary production truck for the main national broadcasts airing on TBS. GTX-11 and GTX-12 host full top-of-line production crews working each of the team-specific TeamStream shows. Each truck is supported by a B unit housing replay, graphics, and advanced statistical integration. Naturally, tying all these trucks together to work seamlessly is a critical component in making the whole operation work. This year’s Final Four marks the second year of a fully file-based, 10-Gb workflow that unites the trucks onsite and links in Turner Studios in Atlanta and CBS Sports studios in New York City. F&F Productions’ GTX-17 is serving as the primary production truck for the main national broadcasts airing on TBS at Final Four. GTX-11 and GTX-12 host the team-specific TeamStream shows. GTX-17 is in its second year working the Final Four, following the truck’s launch in 2014. The IP-focused unit is built around a Grass Valley Kayenne Elite HD switcher, an Evertz routing system, EVS replay servers, a Calrec Apollo audio console with Bluefin 2 (the show is mixed in 5.1 surround), an RTS Adam 128×128 matrix comms system, and a Joseph Electronics fiber kit. The Final Four also serves as a bit of a milepost, ending a very busy stretch for the company’s top mobile units. F&F Productions works throughout the NFL season and into golf.